Product prices and availability are accurate as of 2019-04-22 16:35:18 PDT and are subject to change. Any price and availability information displayed on http://www.amazon.com/ at the time of purchase will apply to the purchase of this product. 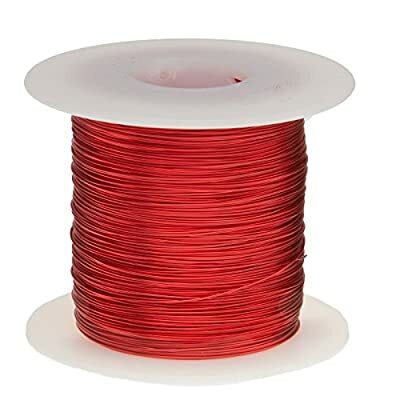 Magnet wire is copper wire with a thin layer of insulation, and is used in a variety of applications including transformers, wound coils, motors, solenoids, and instruments. Raw copper is drawn to meet specific size requirements based on the National Electrical Manufacturer’s Association (NEMA) standards. This magnet wire meets the NEMA MW-80-C standard for operating temperature (155°C/311°F) and insulation makeup. 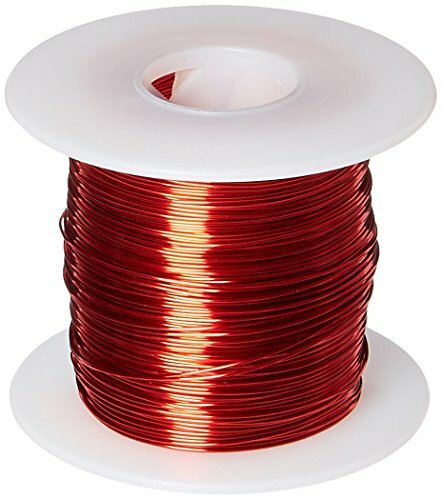 The insulation is made from modified Polyurethane with a polyamide overcoat, and protects the coiled wire from short-circuiting.